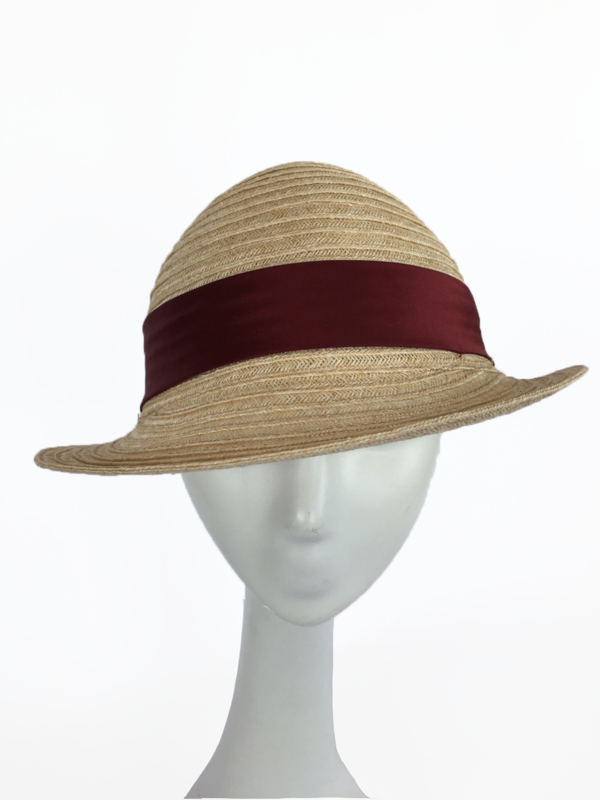 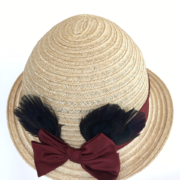 This tight-brimmed cloche sun hat is constructed by sewing a natural-fiber, hemp braid in a circular way until the hat body is completed. 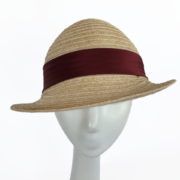 We then block the hat on wooden forms to complete its shape. 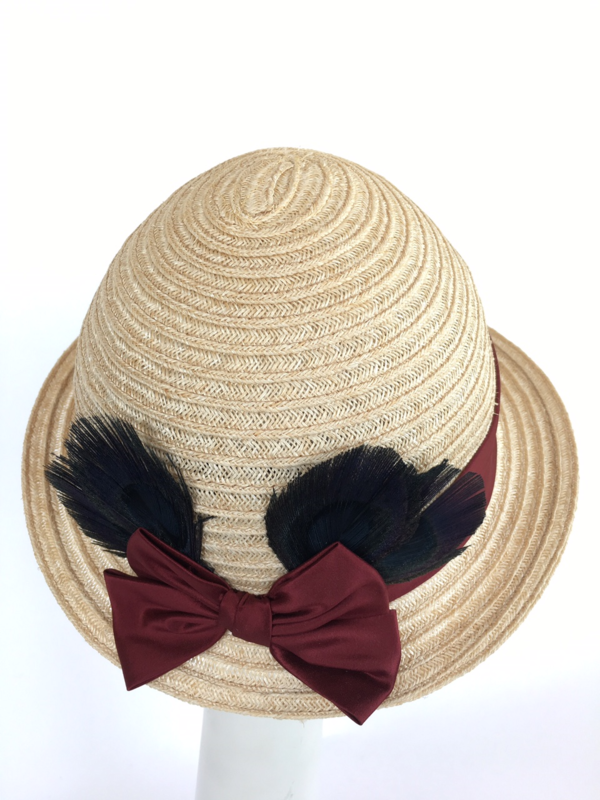 This hat is trimmed with silk and peacock feathers. 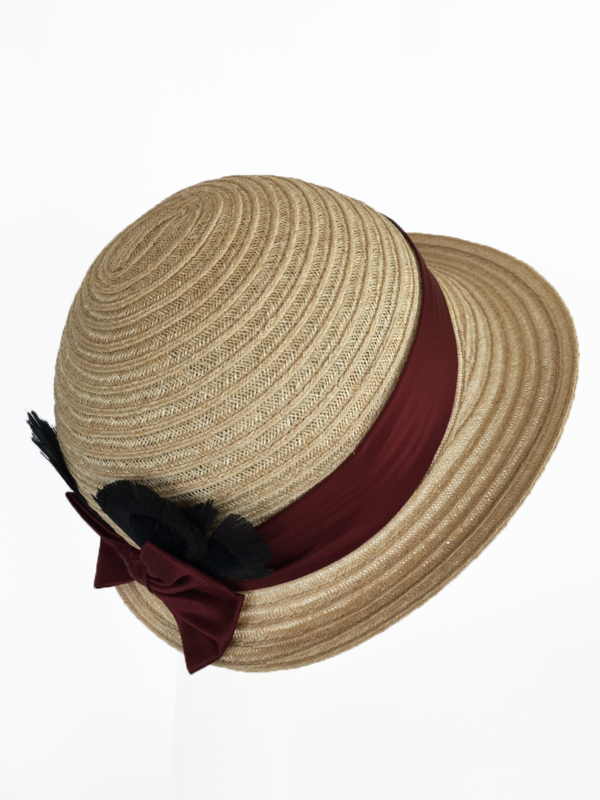 It is a size large, with an adjustable band, so that it will fit most head sizes.